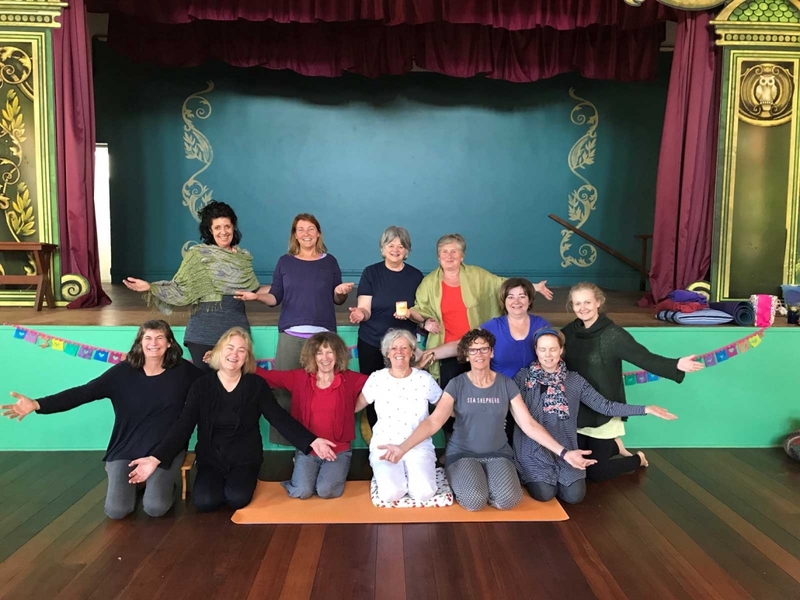 A complete approach to health and wholeness – integration of our body, breath (speech) and mind/heart through posture, conscious breath, chant, meditation and study. Through a daily yoga practice, we ignite the life-force flowing within and all around us. Consequently, we live and act more consciously, more interdependently – for our own benefit and the benefit of others. 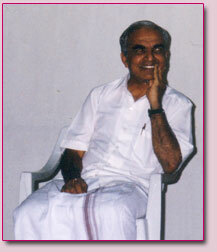 The whole process of yoga, of spiritual development, is the removal of obstacles to self-realisation (enlightenment). In order to see these obstacles one needs a tremendously calm mind. Quietness of mind does not mean that there are no thoughts. There may be millions of waves on the surface of the ocean, but underneath it is absolutely calm. Can you go down to the depth of the ‘ocean’ within you, the depth of your own consciouness, so that even while the thoughts keep rising and falling on the surface, there is this deep calm and peace? 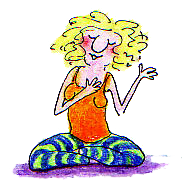 I am a qualified IYA*, IYTA* and Heart of Yoga Assoc. 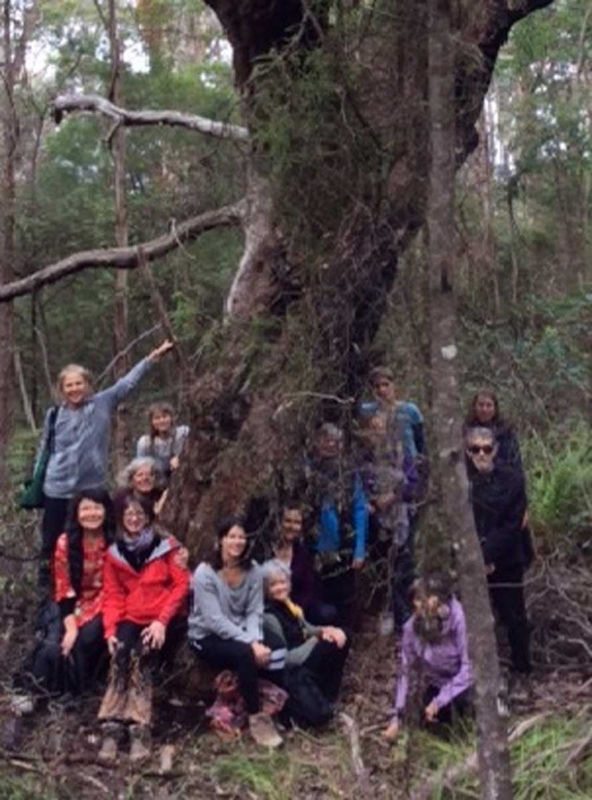 teacher with 40 years study and teaching experience. 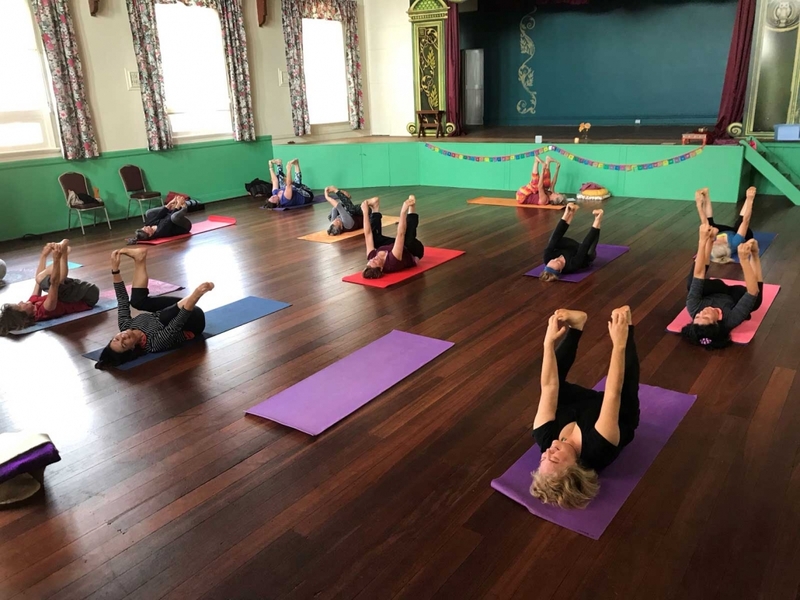 I lived and taught yoga at Sivananda Ashram (Beacon Yoga Centre, Fremantle) for 9 years where I was a student of Swami Venkatesananda and completed the first IYTA training to be offered in WA. Venkatesa worked hard to ensure that all of us, his students, received a complete training in the Eight Limbs of Yoga (astanga). After Venkatesa’s death, I continued my yoga studies with Sri TKV Desikachar and other senior teachers from the Krishnamacarya Yoga Mandiram (KYM), Chennai India, focussing on the study of vedic chant and yoga cikitsa (yoga therapy). In the mid-90s I met and travelled to India with Mark Whitwell to further my studies again at KYM & subsequently with Mark in Perth, Melbourne & Bali. Since 1994, I have been fortunate to receive profound meditation and compassion teachings from Tibet under the guidance of Sogyal Rinpoche and other Buddhist masters, including Dzongsar Khyentse Rinpoche & Dzigar Kongtrul. These teachings were the impetus behind the Centre for Wisdom & Compassion Studies in Albany. 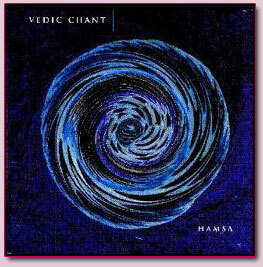 My love of sacred sound culminated in the release of my first CD in 1999, The Healing Sounds of Vedic Chant. 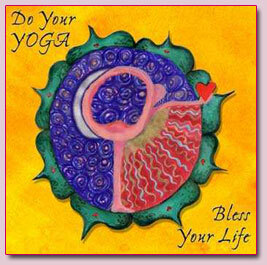 In December 2002, after many requests from students, I released a daily yoga practice CD for those wishing to establish a home practice – Do Your Yoga Bless Your Life. Tracks from this CD are available for download. Swami Venkatesananda was a disciple of Sri Swami Sivananda and a Sanskrit scholar and yogi who presented the yoga teachings with insight and a sparkling wit. He emphasised the all-round development of the individual through the practice and study of all 8 limbs of yoga (astanga yoga) so that the heart and mind were encouraged to develop as well as the body. Venkatesananda is well known for his eloquent translations into English of the major eastern scriptures such as the Bhagavad Gita, Yoga Sutras and Yoga Vasistha. 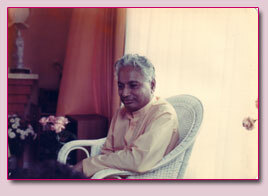 Although Venkatesa died in 1982, he had the foresight and kindness to introduce many of us,his students, to study with TKV Desikachar at the Krishnamacarya Yoga Mandiram, Chennai India. TKV Desikachar (son of T Krishnamacarya who was also teacher of Iyengar & Pattabhi Jois) transmits the vast body of knowledge and wisdom handed down to him by his father. 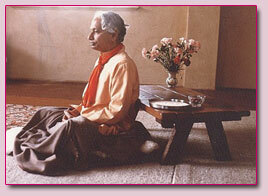 His genius lay in his ability to communicate yoga for ‘every body’ – for the able-bodied and the not-so-able. His beautiful text, The Heart of Yoga is an essential resource for every yoga student. Immense gratitude to Sogyal Rinpoche (The Tibetan Book of Living & Dying) who transmitted so many profound teachings and for introducing me to other brilliant masters – Dzongsar Khyentse Rinpoche, Tsoknyi Rinpoche, Dzigar Kongtrul and Jetsun Khandro Rinpoche. A DAILY PRACTICE CD for busy people who can sometimes only spare 15-30 minutes a day – now you don’t have to miss out on the many benefits of a daily yoga practice. 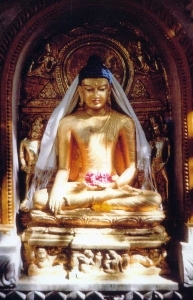 * lovingkindness meditation with om mani padme hum chant. This CD is interactive and comes complete with an instruction booklet. Chant has traditionally been used as a tool for healing, celebration and transformation. The Healing Sounds of Vedic Chant CD/booklet set provides an ideal tool for yoga teachers and students to learn some simple Vedic chants. All of the chants are rendered in the beautifully musical language of Sanskrit. Most of the chants are drawn from the sacred text of the Upanishads. These sounds are healing in themselves, even if one only listens to them. All of the chants can be learned and followed in the accompanying book. TEACHERS – order 5 or more copies and save 30%. The practice of yoga reduces disturbance of all kinds and restores our inherent wellbeing, peace and clarity. Furthermore, there is a practice for everyone including the fit and agile, the stressed and stiff, and those in need of special care. 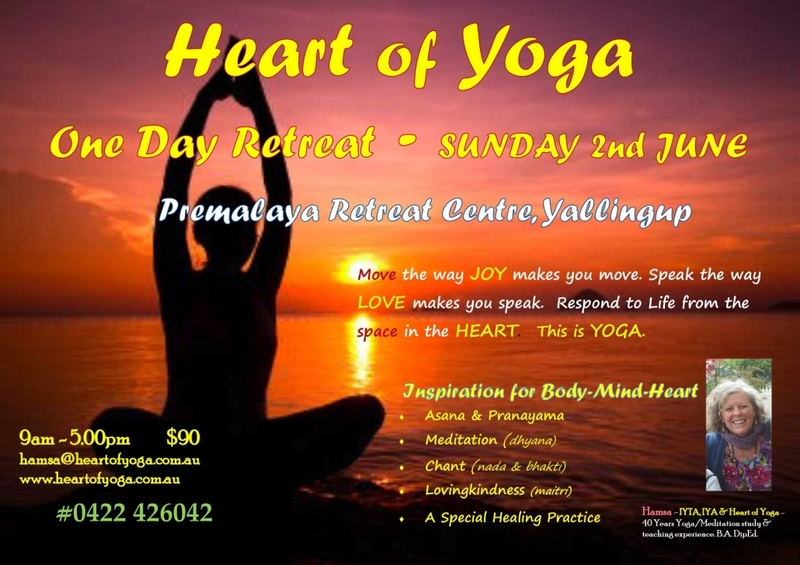 Yoga postures and breathing, skillfully applied, bring energy – transforming the body from matter to energy. Our practice harmonises the function of all systems of the body and brings wellbeing and peace of mind. The gift of learning to meditate is the greatest gift you can give yourself in this life. 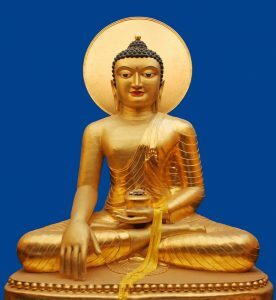 For it is only through meditation that you can undertake the journey to discover your true nature, and so find the stability and confidence you will need to live and die well. For US or European orders (single copies), add AUS$10 postage.